Ben Campbell-Johnston was a gregarious, fun loving, family man. 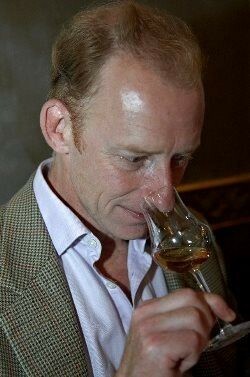 He was well known across the wine industry as a leading fortified wine expert, unsurprisingly with a family history stooped in port as a member of the Symington family who own Graham’s, Dow’s and Warre’s amongst others, and he co-founded the successful Big Fortified Tasting. Outside of work he was an active member of his local community but most of all a much loved husband and father to Kate and Louis. It was a huge shock to all who knew him to hear about his death at the end of October 2016 due to mental health issues. As was the case with Ben, people with mental health problems often suffer in private with no outwardly visible signs until they manifest themselves in a multitude of different ways. They are thought to affect around one in four people in Britain and range from common mental health problems such as depression and anxiety, to more rare problems such as schizophrenia and bipolar disorder. A mental health problem can feel just as bad, or worse, as any physical disorder, only you cannot see it. As has been widely highlighted in the press in recent months, there is still a stigma attached to mental illness and sufferers are either too embarrassed to talk about problems or fear repercussions, particularly at work, by raising personal issues. Most of us will know someone who has experienced a mental health problem but in most cases we are blissfully unaware. They can happen to anyone, at any time. Recent research by The Benevolent (The Drinks Industry Charity) has discovered that mental health is a major issue within our industry with members of the trade affected by mental wellbeing issues often tending to avoid facing the problem or asking for help. It is therefore important that as much information as possible is available to all affected to ensure that nobody has to suffer in silence and anyone who is suffering is able to know where they can get help, treatment and support. To raise awareness across the drinks industry, The Benevolent are launching their #NotAlone Mental Health Campaign: the name aims to express the sense of security given by The Benevolent to people who need help and companies can now rely on their trade charity to offer support to their employees. 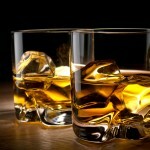 The Wine Trade Sports Club Foundation was established in 1973 as the official charity of the Wine Trade Sports Club. The Wine Trade Sports Club provides access to organised sport, primarily cricket, tennis, golf, squash and other social events to people working across the drinks industry and is an excellent way to meet like-minded colleagues outside of the work place. The WTSC Foundation was established to raise money for current and former employees of the drinks industry who have found themselves in tragic or unfortunate circumstances through no fault of their own. All funds raised by the WTSC Foundation are distributed through The Benevolent who identify specific causes & people for which special fundraising activity is required. Since its founding in 1973 the WTSC Foundation has raised and distributed over £500,000 to beneficiaries and good causes by the Benevolent. Every three or four years the Wine Trade Sports Club organises a Foundation charity walk raising money for a specific cause. 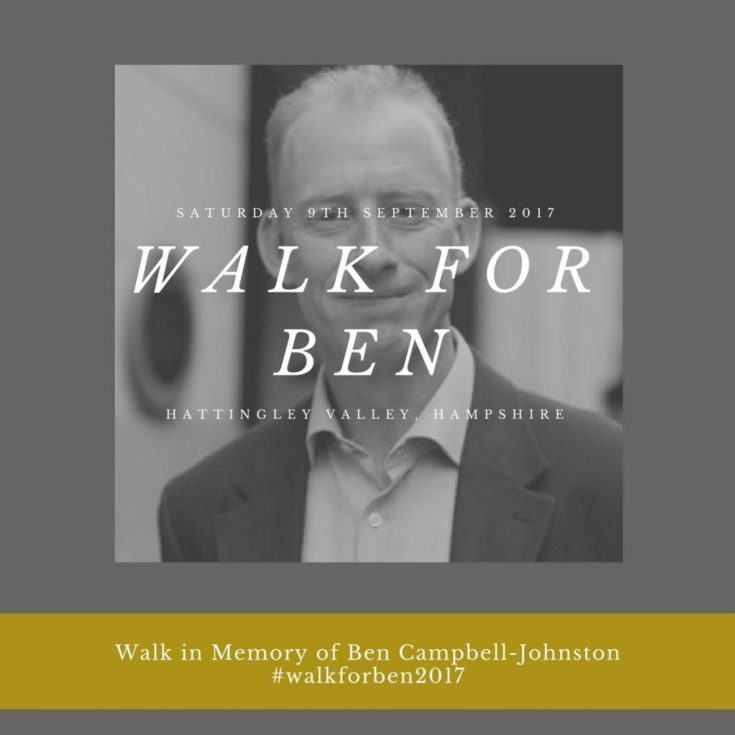 This year we are walking in memory of our great friend, colleague and sports club member, Ben Campbell-Johnston. We will be walking to raise money to fund the launch, later this year, of The Benevolent’s #NotAlone Mental Health Campaign. In addition 20% of all funds raised will be donated directly to Mind, who provides essential support for those suffering from mental health issues. About 50 members of the drinks industry including families (and pets) are walking 9 miles of the Beautiful South Downs in Hampshire on Saturday 9th September to raise awareness as well as funds for the #NotAlone campaign. We are being hosted by Hattingley Valley Wines who have very generously provided us with a base and there will be a delicious Hog Roast for all at the end. We appreciate that a 9 mile walk is not the most physically demanding charitable challenge however the aim was very much to do something that was inclusive for families and raise awareness for an issue which has sadly affected and will continue to affect many people in our lives. Spreading awareness for everyone to know that there are facilities and services available to help should you or family members be affected by mental health issues. If you would like to join in the walk please contact the Walk Secretary – Christo Eliott Lockhart (clockhart@armitwines.co.uk) as soon as possible. There is no entry fee to take part we just ask that all participants set up a fundraising page (either individual or as a group) on our Virginmoneygiving page and raise as much as you can. Croquet and other lawn games available for early returners and children. 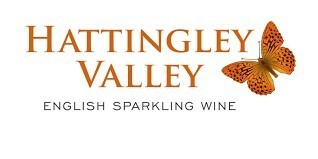 Winery tours available from Hattingley Valley Wines on request. Neither Three Castles path or The Ox Drove are suitable for for bicycles. Children’s scooters and bicycles can be used on the hard standing at the winery. 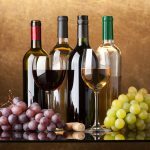 Careers in Wine - Have you exhausted all your options?